Maruti Ertiga, the brand new MPV from the reputed stables of Maruti India is launched today for the Indian customers. This Multi Utility Vehicle has generated a lot of positive response and eagerness from the customers since it was first unveiled in the 2012 Automobile Expo held in the country’s capital New Delhi, earlier this year. The Maruti Ertiga price for its base variant is starting at around Rs. 5.89 lakh, which is very competitive as well as aggressive when compared to all the other rivals in the car market. Other contenders like Toyota Innova is starting at Rs. 8.89 lakh, while Mahindra India’s Xylo has a price tag, which starts from Rs. 7.33 lakh onwards (all these prices mentioned are ex-showroom New Delhi). 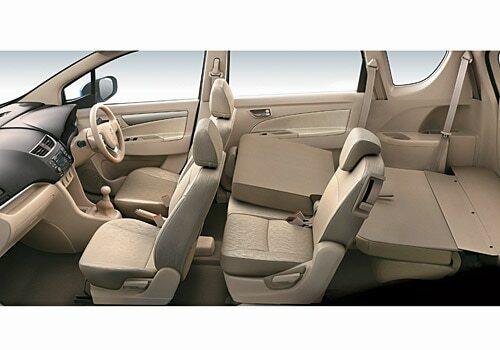 The Maruti Ertiga pictures reveal the spacious interiors and the sleek exteriors of this MPV. It has been specifically designed by keeping the Indian families as well as their lifestyle in mind and the company feels that this will be one of the most important factors for the success of this MPV in the market. The Maruti company has launched this MPV in both petrol and diesel car versions and the customers can choose from a total of six trims (three each for petrol and diesel). A Maruti Ertiga review states that the company has also focused on incorporating this MPV with the best in class safety features like airbags, anti-lock braking system with electronic brake-force distribution for more effective and balanced braking and many more. 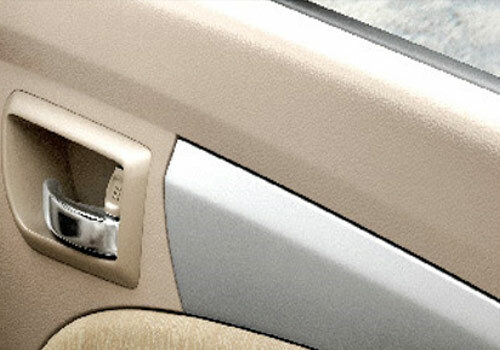 Other comfort features include powerful air conditioning, tilt steering and power windows for convenience. The petrol car engine is a K14B engine churns out 95 PS at 6,000 rpm and a peak torque of 130 Nm at 4,000 rpm and delivers a mileage of 16.02 km per litre, while the diesel version is fitted with 1.3L DDiS Mutlijet engine, that generates 90PS power at 4,000 rpm and a peak torque of 200Nm from as low as 1,750 rpm with a mileage of 20.77 kmpl. Apart from this MPV, other upcoming cars such as Volkswagen Jetta, Tata Safari Storme and Chevrolet Captiva are all set for their individual launch in the coming weeks. Recently shared Maruti Ertiga launched, price starts at Rs 5.89 lakh and Maruti Ertiga launch date set on 12th April.